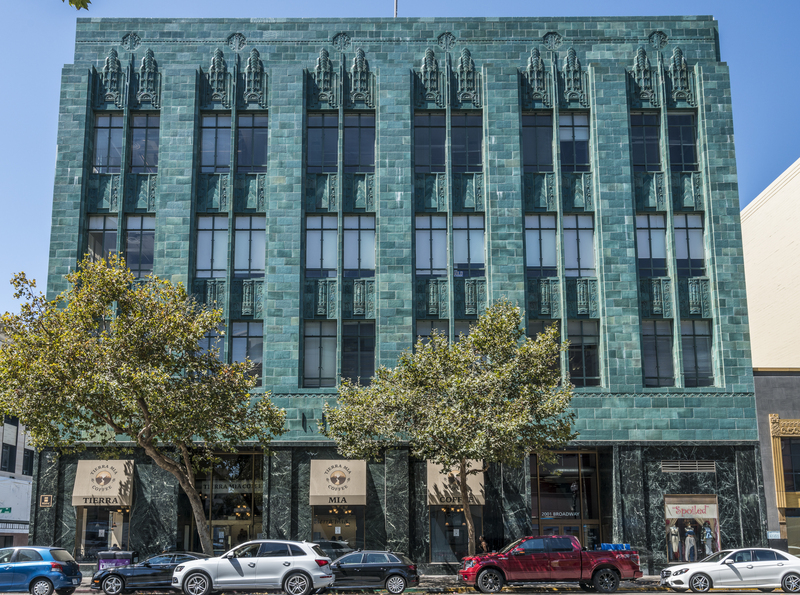 The I. Magnin Building is a former I. Magnin department store, designated as historic by the City of Oakland. 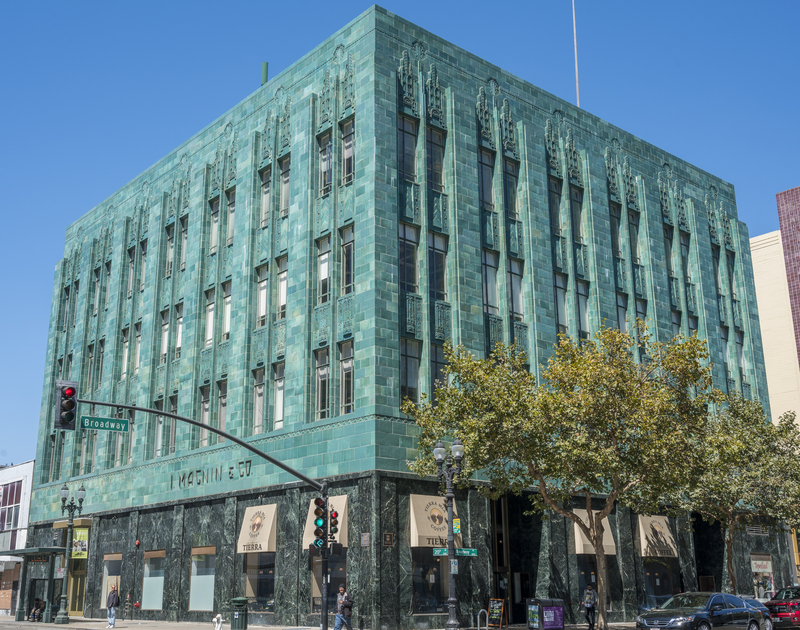 The building’s green terracotta facade and art deco ornamentation make it a prominent landmark and a local visitor attraction. 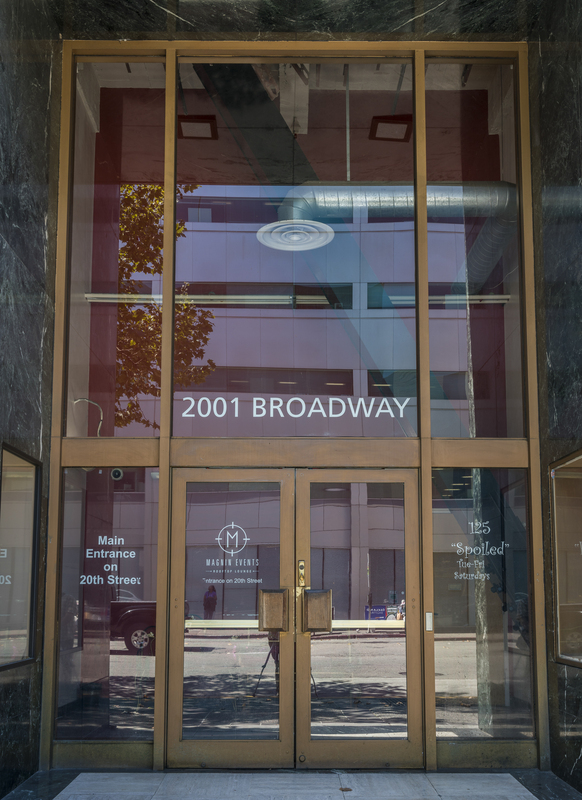 The building includes over 200 feet of frontage at the intersection of 19th Street and Broadway Street, two major downtown Oakland thoroughfares, and was fully renovated in 2000 as Class A office space with fully upgraded structural, mechanical, electrical, and plumbing systems. Served by a public parking garage located two blocks away that includes over 400 spaces. On-site amenities include a shower facility and dedicated bicycle storage. Renovation in 2000 included award-winning seismic upgrade, all-new systems, and interior finishes. Downtown Oakland, particularly the Uptown area, has rapidly evolved from an economic alternative to San Francisco into an exciting, urban, live/work/play environment where new companies come to nourish, evidenced by UBER’s expansion at Uptown Station. 1500 Broadway is located across the street from the Latham Square Plaza, where Telegraph Avenue and Broadway converge. Expected to be completed in the summer of 2016, the Plaza will substantially improve the streetscape and provide attractive public open space at the doorstep of the Property. Interested in leasing space here? Think 2001 Broadway is a good fit for your business? Send us an email and we’ll get back to you right away.